The main goal of the festival is to educate people about Jewish culture, history and faith which flourished in Poland before the Holocaust, as well as to familiarize them with modern Jewish culture developing mostly in the United States and Israel, and finally, to provide entertainment. Each festival is held in late June or early July and takes nine days, from Saturday to Sunday. During that time concerts, exhibitions, plays, lectures, workshops, tours, etc. are organized. 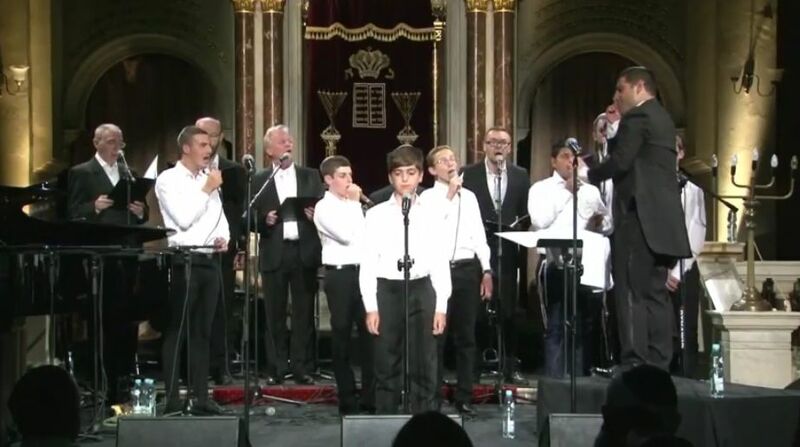 At this year's festival, Kolot Min Hashamayim (Voices from Heaven), a boys' choir from Haifa, Israel, participated and sang songs including this version of Adon Olam, which we hope you'll enjoy as much as we did.